The suggested due date for this assignment is September 21, 2016. Write your formal pitch in your favorite word processor. 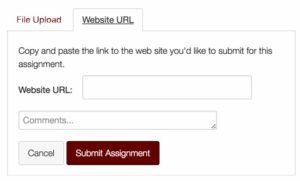 You can submit your work as a Word .doc or .docx file, as a .pdf file, or as a share link to a Google doc. If you choose to work in a Google doc, be sure to share the document with tengrrl@vt.edu, giving me the ability to comment on your document. You will blend the ideas of the formal pitch and the proposal, as explained in Writer/Designer, into a single document. Estimate that you will need three pages or less, but know that I don’t count pages. If you need more room, use it. If you need less, that’s fine too. Just be sure that you include all of the required details. Explain as much as you know at this point about your major projects. If you are unsure about something, explain what you are considering (e.g., you are not sure if you will use iMovie or PowerPoint). Introduction/summary. Give an overview of what your project is about, how you will approach it, what genre you will use, and how that genre fits the rhetorical situation. Be sure to explain the rhetorical situation for your projects as a whole. Think about how all the pieces will work together on the website. What genres will you use for your projects? Be as specific as possible. For instance, rather than 2-minute video, state a 2-minute interview video. What is your over-arching topic? How will you convey your topic to your intended audience? How much do they need to know for you to accomplish your purpose? What topics have your tentatively chosen for each of the components of the website? Justification. Discuss why your proposed design is appropriate and effective for making your argument. (Your genre conventions checklist on page 51 in Chapter 3 will be helpful here.) Consider how you design your project in relation to your topic. Explain how the design is appropriate to your project’s rhetorical situation. Timeline. Give a detailed work plan of how and when you will complete all of the components, including a breakdown of your tasks at each stage of the project. You do not need a section on Roles and responsibilities since you are working independently. Your formal pitch is a critical document in your workflow since it tells me your plans for completing the major projects. A misstep here could cause trouble later in the term. Put some effort into thinking through your plans, and then explain them as well as you can. Use document design to help organize your text. Clear headings make a big difference in structuring your pitch (and they can help ensure you remember to include all the required details). Add relevant graphics (such as images or tables) to clarify or explain your ideas. You might add a calendar or a timeline to show your proposed schedule. If you already have an idea of what something will look like, add an image that shows it. Remember though that any graphics should serve a clear purpose. Don’t add graphics that are purely decorative. Your formal pitch documents your starting point for the major projects. Your plans can (and likely will) change. Don’t let your perfectionist tendencies stifle your creativity or risktaking. Your formal pitch counts in the participation portion of your grade. Like your Attendance grade, it will show up in the gradebook as either a Pass or Fail. If your formal pitch receives a Fail, you will have the opportunity to revise and resubmit. Choose the option below that matches the way you will turn in your work. Click on the option to reveal the related instructions. Make sure that you have shared your Google Doc with tengrrl@vt.edu and given me the ability to comment. If you need help, check this FAQ: How do I find the Google Drive Share link to submit my project? Go to our course in Canvas. Choose Assignments from the left sidebar. Choose the "Formal Pitch" assignment. 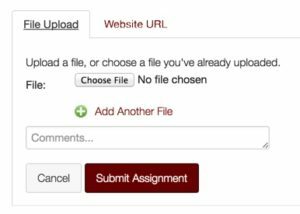 Click the big Submit Assignment button on the upper right. Paste the link to your Google Docin the Website URL field.